Miriam stated that PH isn't ready yet for a Duterte presidency! Home / News / Miriam stated that PH isn't ready yet for a Duterte presidency! On Tuesday, Senator and aspiring president Miriam Defensor has stated that the Philippines isn't ready yet for a Duterte Presidency claiming that she's somehome doubting the Davao City Mayor's allegiance to the rule of the law. Miriam revealed in the interview that she noticed some of Duterte's statements that are somehow overboard. "I don't think so." 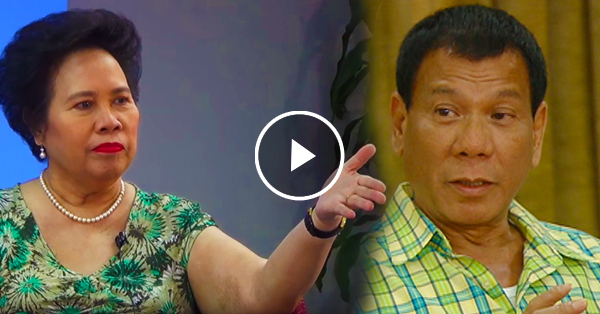 Miriam stated when she was asked if the PH is ready for Duterte's leadership. “Some of his statements make us doubt his allegiance to the rule of law,” the senator said. Miriam also stated that us, voters have to be legally literate before we choose our president. She claims that some of us don't actually understand some of the things that Mayor Duterte wants for this country.